*The Songfactor's Music of Choice will be decided by your nominations and votes. For each edition we'll ask that you nominate 1 OR 2 selections that meet the guidelines for that edition. *With each nomination, we'll ask that you give us a review, a few thoughts or just a description of how your selection makes you feel. No one is being graded on their writing here. What we want is for you to share your knowledge and feelings about the music you love. *Each edition will run 3 to 4 weeks. At the end of that time, we'll ask you to vote. You know how that works! These lists will number 5, so we'll ask that you compile your list of 5 choices for the final Songfactor's Music of Choice. We will tally them, just like The Songfactor's Choice Top Ten, 1 through 5. At the close of voting, we will have our Songfactor's Music of Choice. *What we'd like is for you to nominate a great Soundtrack. To change it up a bit, instead of reviewing the album, we'd like for you to choose one song from that Soundtrack to highlight. Tell us how that song makes the scene it corresponds to work. Why is it memorable? How does it make you feel? Why do you think of the film everytime you hear the song? Get it? Got It? Good! We expect lots of questions. Heck, WE have lots of questions. This is entirely a work in progress. To use Carl's words, we'll tweak it when and where it needs tweaking. The Brainstorm thread is still available to add suggestions or questions, or you can do so here. This is The Songfactors' Choice, after all. Tell us what you think works, and what doesn't! I just love this whole album. The music was written by John Barry ("James Bond Theme", The Knack, Born Free, The Lion in Winter, Out of Africa, Dances with Wolves... ) whom I worship. A diverse album. BarryÂ´s style goes from the catchy "Florida Fantasy" to the blues of "Midnight Cowboy", the ambiance is just perfect and Harry Nilsson singing the main song fits like a glove. Schlesinger, the director of the movie, was the one who chosed "Everybody's Talkin" by Harry Nilsson (written by Fred Neil). ThereÂ´s also a couple of songs by The ElephanstÂ´s Memory Band, they were the backing band for John Lennon by then. Of course, I love "EverybodyÂ´s Talking". 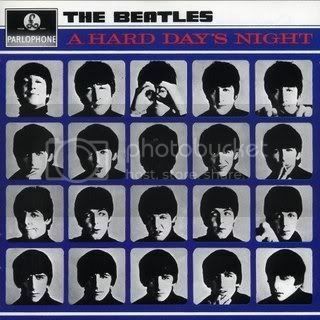 Not only itÂ´s a great song but it also brings me back to the late sixties/early seventies. The highlight: "EverybodyÂ´s talking" - Harry Nilsson. Obvious. By jove, she's got it! That's it exactly edna, ya done good kid. Thank you so much for not leaving me swinging in the breeze here. Now edna writes a very nice review. Again, it's not required, if you just want to give us a few sentences, that's fine. Just pick a song from the album, and tell us about it! The first thing I have to say is that Quentin Tarantino is a absolute genius when it comes to incorporate music into his films. The score basically consists of Surf Music, because as Tarantino said "it just seems like rock 'n' roll Ennio Morricone music, rock 'n' roll spaghetti Western music." But even with all the other cool songs, my personal favourite is, and was from the first time I saw the movie, the Opening Credits who knew the song "Misirlou" before the movie came, and more importantly: who can listen to it today and not think of Pulp Fiction? 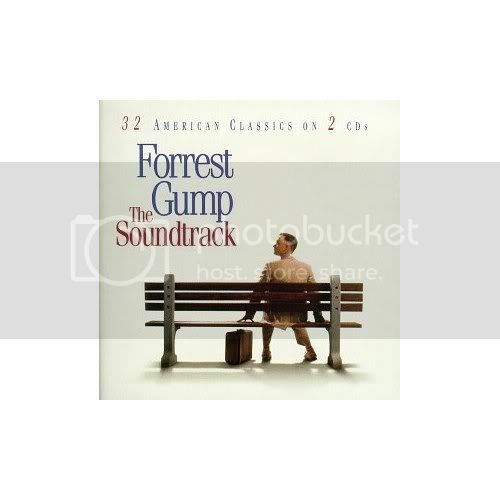 Looks great so far....I never really bought any soundtrack albums except for a couple...one was Forrest Gump, but that's on the list already...I do have one other one from "The 60's Movie"...which was a TV movie, does that count? Laurie, we are starting all over! You may use ANY album, regardless whether it has ever been an MoC selection prior to this! I've got dibs on Jesus Christ Superstar, but I can't post anything right now... got to go to work. I'll get on it later tonight. 11. Turnip Farm - Dinosaur Jr. I think every song up there with a link is is characteristic of the movie... My Sharona included. It made its comeback with this film. it makes its appearance on screen when it starts playing on the radio in a supermarket and three of the four characters present start dancing to it at the counter (Ethan hawke just looks unamused and embarassed by his 'friends'). Stay is a trademark Reality Bites... it only plays over the end credits but is still so closely n Hawke directed the video which is 'famous' for being one continuous shot. Winona Ryder and Jeanine Garofalo are singing along to Squeeze Squeeze when they 'bump' into Ben Stiller on the road. Shannon, that album defined not only disco of the late 70's, but the times themselves. I was 22 in 1978, and I, along with all my friends professed great dislike of the entire disco phenomenom (still do). Professed. We also went to see the movie in droves. To this day I can't hear the song Stayin' Alive, without seeing Tony (John Travolta) walking the streets, oh so cool. The rest of the songs also bring up similar memories. This was a great choice, the music of the film mirrors the times, and now, 30 years later, the songs still conjure up the images from the film. A great soundtrack to one of the greatest rock and roll movies I've ever seen. The Tiny Dancer scene is amazing. IMHO the best soundtrack ever recorded. I have seen this movie more times than I can count, seen the live stage version with and without Ted Neeley as JC, I know every word to every song in this rock opera, I'm even such a freak that I know a lot of trivia about the actors in the movie. This movie hit theatres in 1973 and was widely boycotted because many people felt it was sacreligious. There were protests and picketing by those who thought this was an insult to Jesus Christ. Despite that, it has become one of the most listened-to and loved soundtracks of all time. This soundtrack spawned two major hits with "I Don't Know How To Love Him" and "Superstar." "Could We Start Again, Please" is an incredibly moving song that was not in the original stage show. I can't imagine the show without it. My favorite scene from the movie and song on the soundtrack is "Gesthemane (I Only Want To Say)." Ted did an unbelievable job of bringing forth the emotion in this song as he confronts his maker and would-be murderer. No matter how many times I hear this song, I still get goosebumps. I like the original album better, mainly because Ian Gillan has a much cooler voice than Ted Neeley. Still, good choice! Ian Gillan has a much cooler voice than Ted Neeley. No, blasphemy would be if I said Ian Gillan had a cooler voice than Jesus Christ. I bet that guy could wail! I think IÂ´ll nominate "Grease" in case nobody wants to do it or had planned to do it. Looking good, huh? This list makes me want to see all these films again! I've got one for tonight. Hard to pick one scene/song because the movie goes from one awesome sequence to another. I suppose the scene/song that really stands out for me is when they're playing cards on the train, with young Patti Boyd alongside them. Can't help but think that the song title in that scene ( I Should Have Known Better) is prophetic, at least for George. Can we nominate more than one? I want to nominate "Fast Times At Ridgemont High."